contract and inventory management to back-office accounting and billing easy. ARM makes managing rental inventory and looking up reservations is a simple and intuitive. You can easily see item availability when creating a quote, know where it’s at, and when it’s due back—even if it’s part of a kit so that you never over-commit equipment again. Instantly create rental contracts for new customers or generate a contract from a previous order with a single click. Upon completion, a picking sheet is created and sent to your warehouse and all of the billing information is simultaneously collected by your General Ledger. With CPA-recommended Sage 100 ERP (MAS 90/200) as it’s backbone, ARM is a complete rental business management solution that integrates seamlessly your accounts payable/receivable, general ledger, and other core accounting processes. 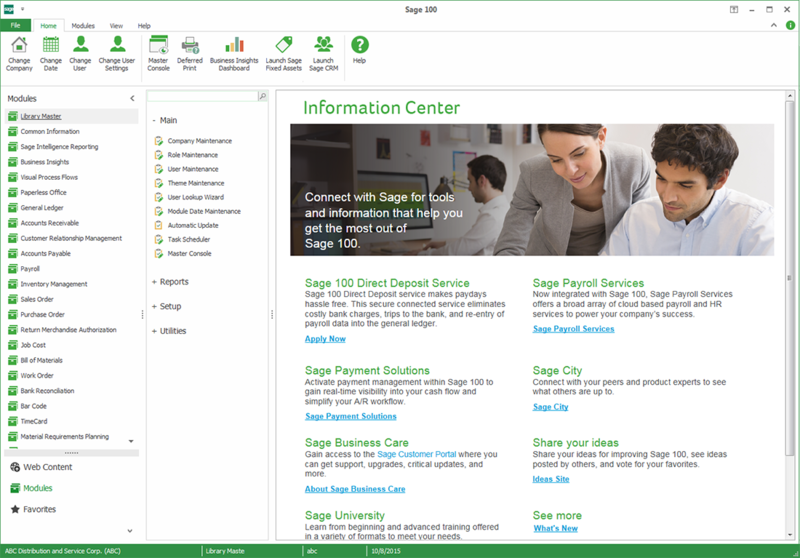 Because it’s coded directly into framework of Sage 100, ARM doesn’t require any complex third-party integrations. ARM is fully integrated with the Omnitracs Roadnet Anywhere Routing solution, enabling you to increase delivery efficiency and improve customer service. 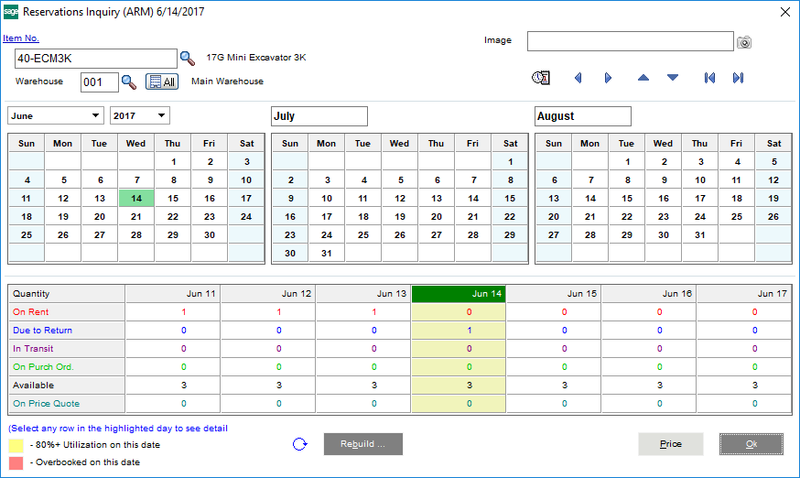 You can easily pull up contracts and view driver locations, estimated delivery time and more right from the rental contract. ARM is a full Enterprise Resource Planning (ERP) solution with robust reporting functionality. 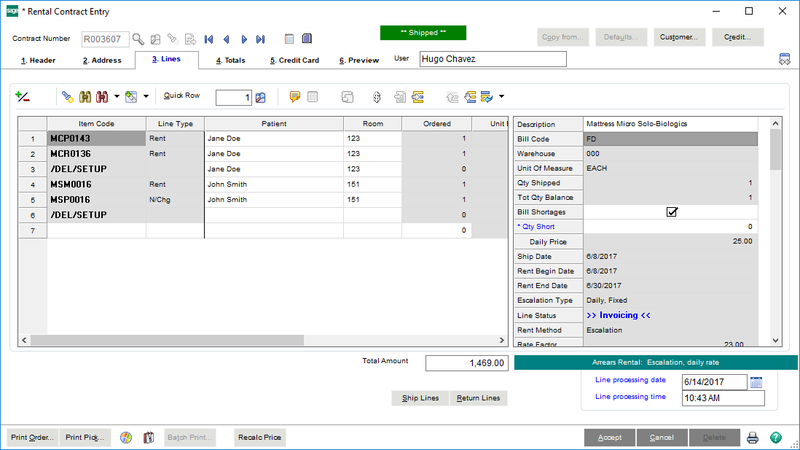 ARM makes it quick and easy to generate popular reports like: profit & loss, payments collected, tax summary, general ledger reports, days sales outstanding (DSO), utilization, and many more. Accounting isn’t ‘one size fits all’ like QuickBooks makes it out to be. ARM can be completely customized to meet your business needs without being intimidating. ARM saves customers an average of 2 days per month per user from everyday accounting tasks. Spend less time on paperwork and more time doing what matters most. ARM lets rental business owners get organized and get paid. Manage your back-office and billing, keep track of contracts and reservations, and create reports.